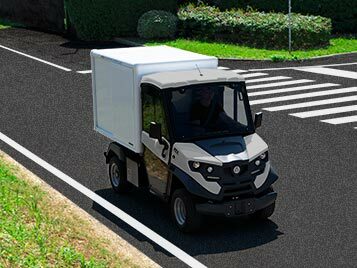 Electric vehicle with tipping cargo bed. 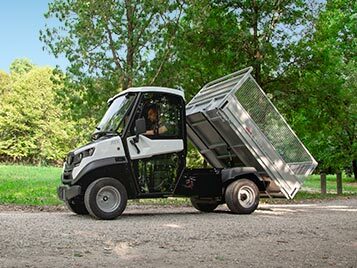 Refrigrerated mini van with electric traction with FRAX certification. 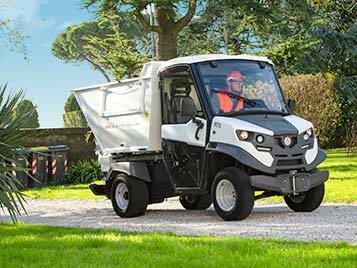 Electric vehicle for waste collection. 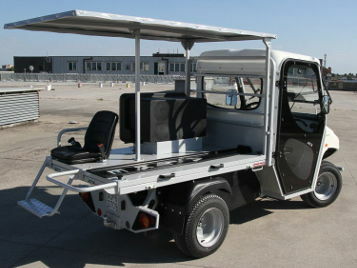 First aid ambulance in stadiums, fairs, factories. 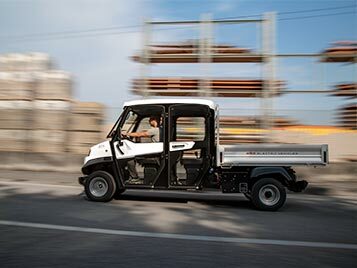 Also ATEX version. 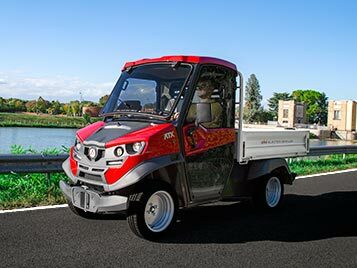 Electric agricultural vehicle with steel mesh sides. 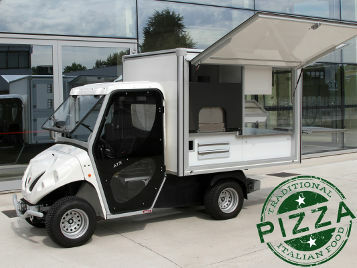 Pizzas, sandwiches, drinks, street food van with eletric traction. 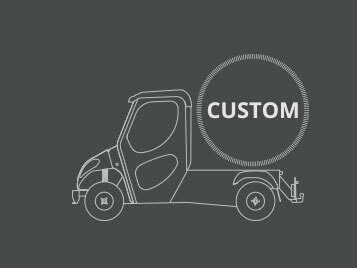 Configurations that can accommodate from 4 up to 10 people. 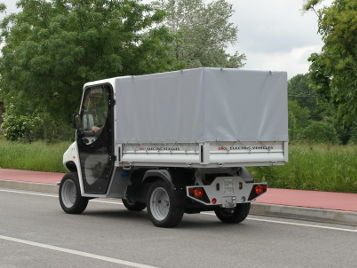 Commercial electric vehicle with closed body tarp and thermally insulated. 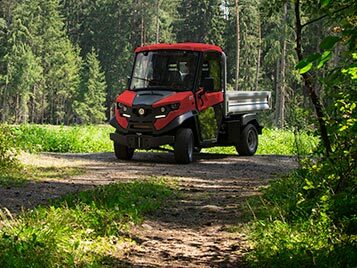 Electric vehicle with towing capacity up to 4.500 kg onm private property. Van with body tarp and opening rib on three sides. 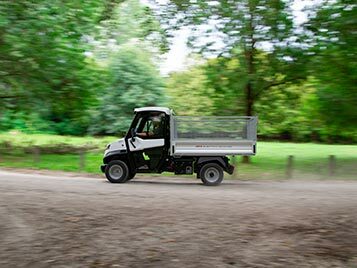 Electric vehicle with load capacity up to 1.630 kg. 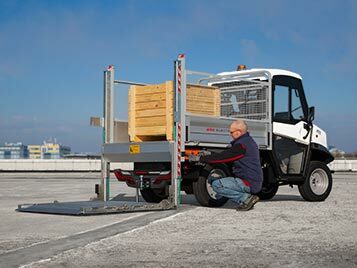 Commercial van with ladder racks to make job easier. 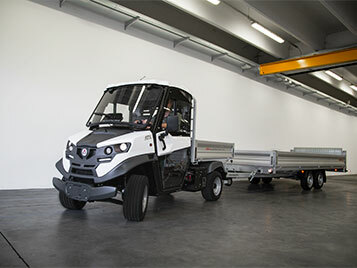 Alkè small truck suitable for moving faster heavy materials on the machine. 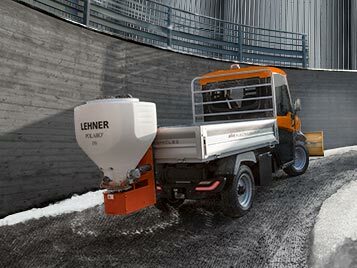 Winter service vehicle with salt spreader and snowplough. 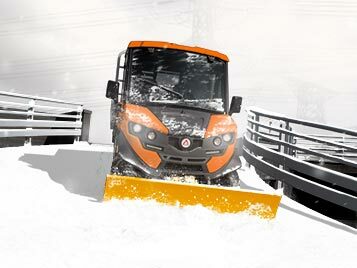 Snow plough vehicle compact and handy with easily removable snow-blade. 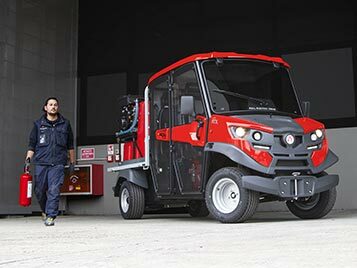 Small pick-up with firefighting equipment. 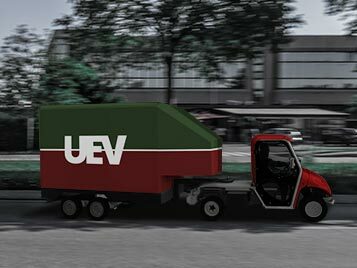 For road/rail transport where compact, flexible and non-polluting vehicles are needed. 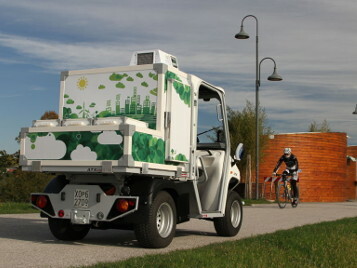 Small ice-cream van, silent and zero emission; customizable in graphic and color. 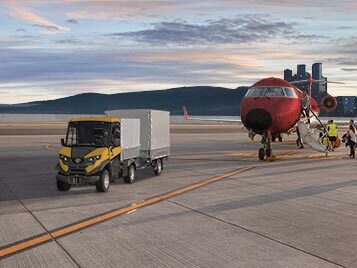 Sturdy, compact, and agile vehicles: an efficient solution for the transport and towing of items at airports. 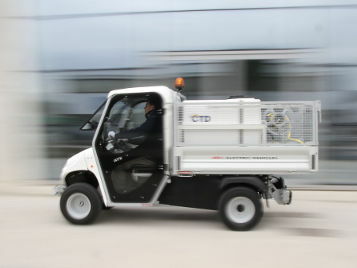 Electric vehicle with tank, sprayer and pressure washer. 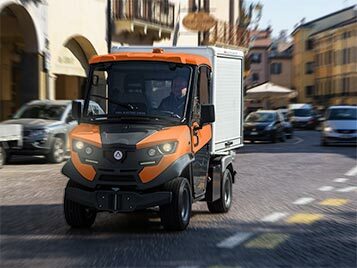 Electric van with rear hydraulic platform for cargo handling. 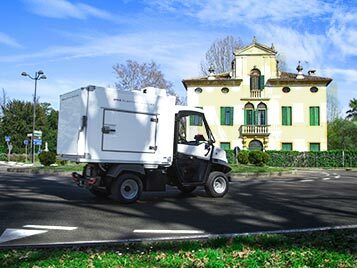 Quiet, compact and easy to move around, are used in hospitals, tourist resorts, and catering. 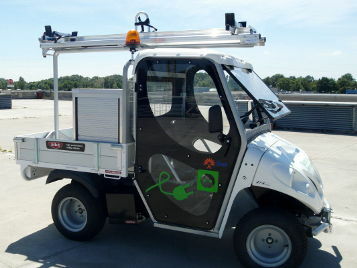 Electric vehicle with off-road set up. 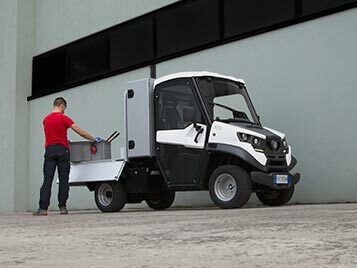 Combinable modules to allow multiple tasks to be carried out jointly in a simple and fast way. 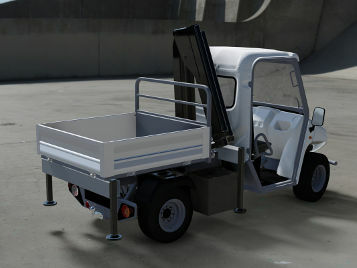 High load volume (16 m³) and compact size. 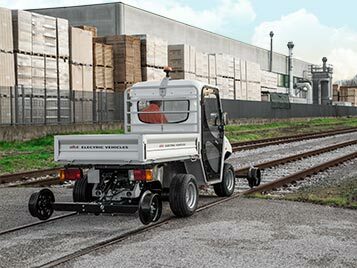 Alke’ can develop special configurations upon request.